and so wonderful to look at. 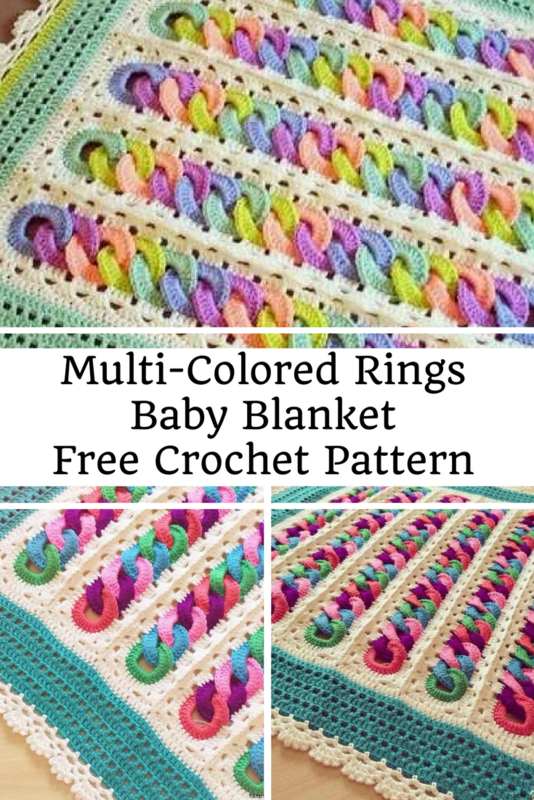 Today’s featured pattern is more than just a rainbow blanket pattern. The multicolored rings have a special meaning for many, they are being called the friendship rings. 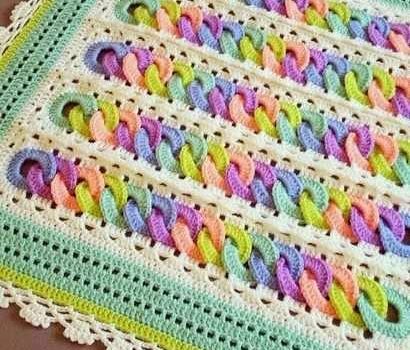 We don’t know if this Multi-Colored Rings Baby Blanket pattern was meant to be a friendship blanket but what we know for sure is that you need to understand the abbreviations for the crochet stitches to be able to make this blanket. (Check this post for more help). The pattern is written on the detailed photo tutorial. There is also a written pattern but since we have translated the crochet pattern using the help of Google Translator, it may be a bit challenging (but not impossible!) to understand. Cutest Rainbow Hearts Socks Ever! Thanks to Maryam for the article inspiration and featured image. I can’t get any pattern All I get is a blank page that says ‘Translate’. Very frustrating! I am having so much fun making this. It was at first a change but experience helped me figure out the pattern.